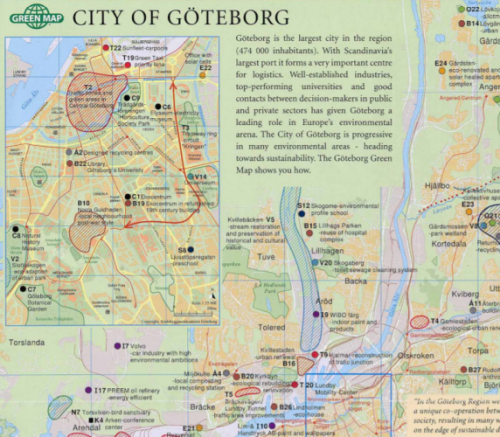 Göteborg (Gothenburg) is the home of Sweden's well-known environmental information organization, Ekocentrum, with whom mapmaker Einar Hansson produced the first regional Green Map of Göteborg and surroundings using Green Map Icons in Year 2000. 50,000 free copies were published each year. 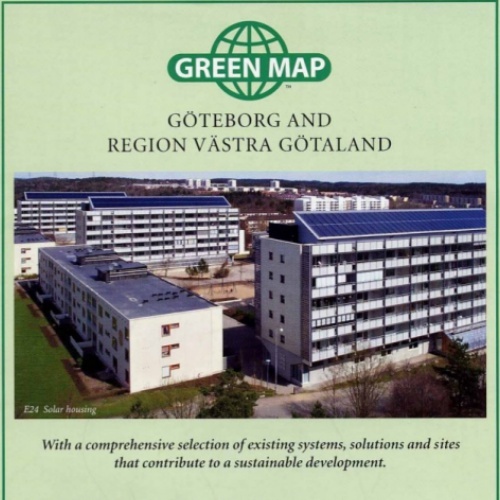 Two new Green Maps charting over 200 sites in Göteborg and the Vastra Götaland Region were published in 2003, these included a large folding map in English and a comprehensive 60-page booklet in Swedish. The Ekocentrum program features a comprehensive environmental exhibition, short courses and the Green Map as a way to underline the existence of pioneering projects supporting sustainable development. 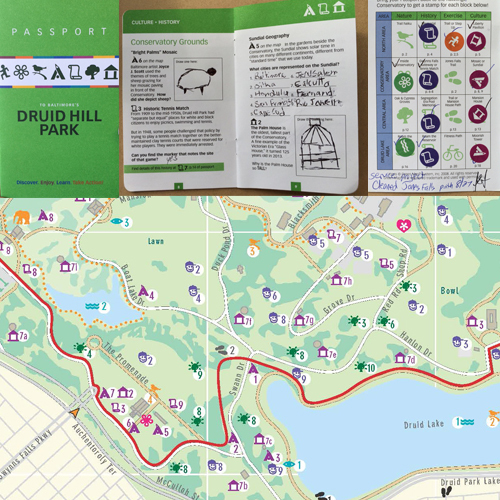 Ekocentrum used the Green Map process as a powerful tool for study tours and technical visits from many countries, raising public awareness in schools, environmental groups, companies, etc. The project was supported by the environmental secretariat of the Vastra Gotaland Regional Board, the Urban Planning Office and the Environmental Office of the City of Goteborg, Business Region Goteborg and others. Einar took part in regional Green Map meetings and the 2002 Green Map Summit at Bellagio, bringing his perspective on the role of business and NGOs working together for positive impact to the table. 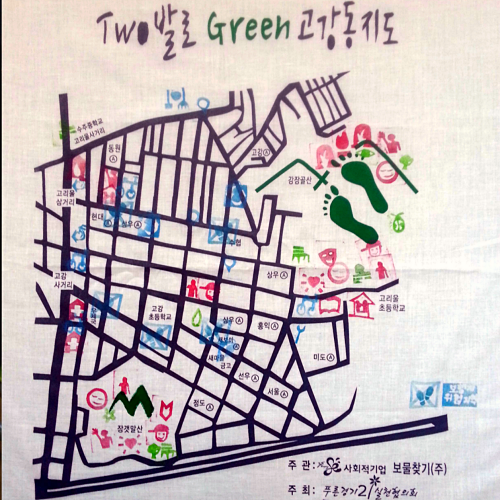 Goteborg created the first Green Map to include a ‘top ten’, a very useful feature!